The premiere online Spanish language marketplace for military news in Latin America. BOGOTA, Colombia, March 2018 – Biz Latin Hub’s client, Mercado Militar, has gone from strength to strength in recent months with increased follower numbers across all social networks and increased website traffic numbers. Of recent note, the online military news platform reached a milestone in its social media following as it gained its 25,000th Facebook follower last Thursday. Biz Latin Hub was sought out in 2017 by Eric Jenkusky, founder of Mercado Militar, to provide commercial representation and other back offices services as he established his company’s presence in the LATAM region. Since the Mercado Militar website launch in April 2017, Biz Latin Hub has used their extensive network and expert knowledge of the Latin American markets to support Mercado Militar on its way to becoming the premiere online Spanish language marketplace for military news in Latin America. Biz Latin Hub are perfectly positioned to support their clients in their Latin American business ventures and as they penetrate their chosen markets. With offices located in key markets and a team of local and expat professionals Biz Latin Hub are the market leader in offering commercial representation and back office services in LATAM. 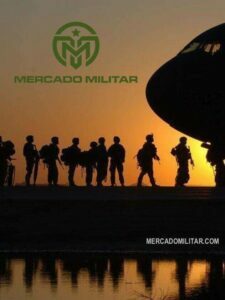 MercadoMilitar.com is the premiere online Spanish language marketplace for military news in Latin America. Mercado Militar brings its readers up-to-date news and features on the Latin American defence industry, covering military projects, trends, products, services and more. Our team is made up of military professionals, security experts and educated journalists who dedicate themselves to delivering the news as it happens.